Zombie Derby 2 - PC Games Trainer and Cheat Codes. 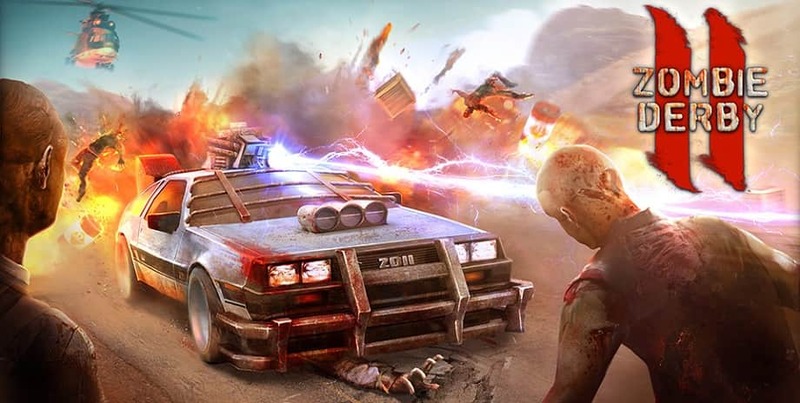 Brutal upgradable cars, big guns and daredevil speed will steer you through places that are chock-a-block with zombies... It’s going to be a really exhilarating fight that no one will want to miss! The dangerous post-apocalyptic world is crawling with zombies and only the bravest and most experienced drivers and the toughest survivors will still be left standing, fighting the countless armies of the undead and dealing with them on their own or taking part in breathtaking competitions! Key features: This is the complete version. It includes all modes, "Extreme" and "Halloween" levels. Millions of blood-thirsty zombies of different kinds. Mass destruction of the undead. 9 cars to upgrade including the Zombie Combine Harvester. Bloody massacre in real 3D. Full HD gameplay and playable at 60fps. Trainer for the game Zombie Derby 2, you can use it to activate these essential Cheat Codes: Infinite Ammo, Infinite Nitro, Infinite Full, Money.